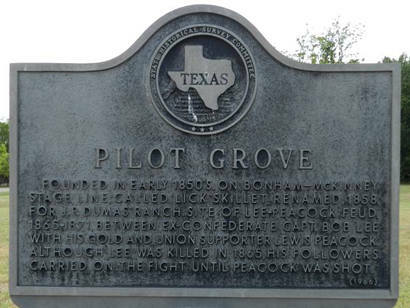 Originally called Lickskillet, the town was settled about 1850 and since the name wasn’t quite up to postal standards, the townsfolk borrowed the name Pilot Grove from the nearby ranch of the same name. The community remained tiny until the 1880s when a resemblance of grow appeared. By the mid 1880s it was still only a mere thirty residents. 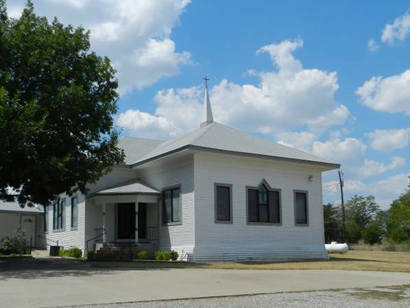 It had a store, school and three churches at that time plus a cotton gin. By 1904 the number of citizens had increased to almost 200 but the post office closed that year. 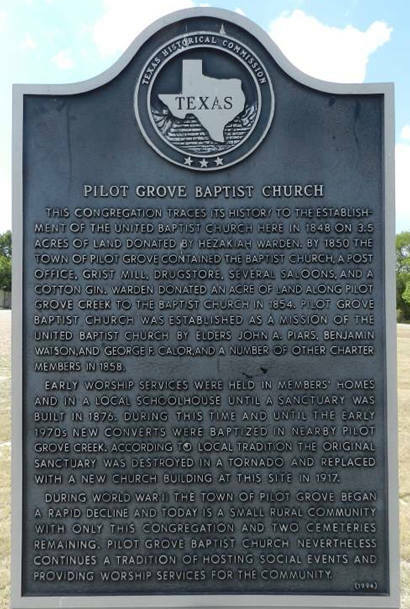 During the Great Depression Pilot Grove had the same population supported by three businesses. After WWII the population declined to 125 and a single business. The school and three churches remained intact. 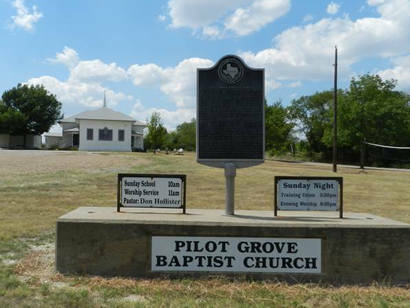 From the mid 1970s to the 1990 census, Pilot Grove reported seventy-five residents. Founded in early 1850s. On Bonham-McKinney Stage Line. Called Lick Skillet; renamed, 1858, for J. P. Dumas' Ranch. Site of Lee-Peacock feud, 1865-1871, between ex-Confederate Capt. Bob Lee with his gold and Union supporter Lewis Peacock. Although Lee was killed in 1865, his followers carried on the fight until Peacock was shot.